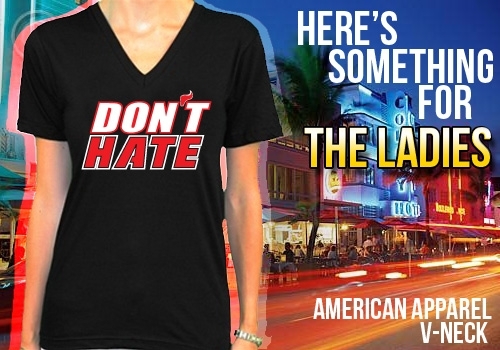 After OVERWHELMING Demand, DHM is bringing BACK the Women's Don't Hate T for the Playoffs and taking PRESALES NOW!! The HATE is getting stronger with every game played on our trip to the NBA Title and wanted to make sure our women had the proper protection! Presale @ 21.99 – Price Goes Up to 26.99 on June 4!